Unfortunately, even if you couldn’t get enough of those classic 80s cop shows, networks did – it’s been thirty years since the last one. The closest thing since then was The Good Guys, which lasted all of one season. Worry not, though, as the team at Pixel Crow bring us Beat Cop. 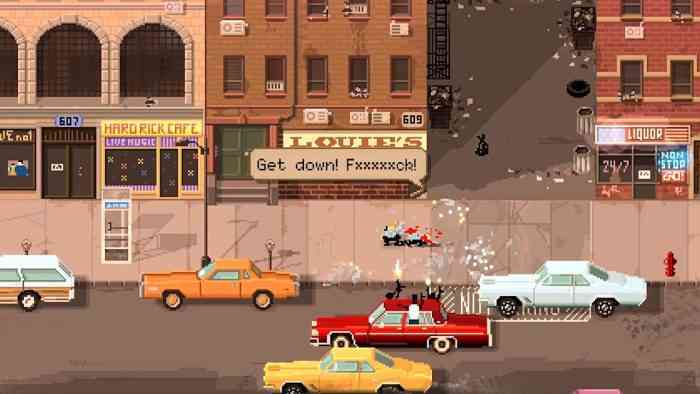 Set in 1980s Brooklyn, Beat Cop blends the point-and-click adventure and time management genres into one loving homage to those shows of the past. The story is this: Detective Jack Kelly is framed for murder and theft when he tries to stop a would-be robber. 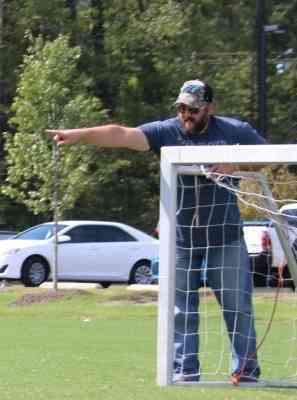 Busted down to a regular beat cop, Officer Kelly has 21 days to clear his name. While this may seem like plenty of time, Officer Kelly has to conduct his investigation to clear his own name while still performing his normal duties. In between writing tickets and catching petty street thugs, will he have enough time to track down the clues he needs? Can he remain a good cop, or will he turn dirty in the pursuit of his goals? Right off the bat, this is a scenario that screams cop show or old school police movie. It’s extremely well done and anything one could think of from that time period is there. As the story unfolds, no trope is left unturned (including the cop on his last day getting killed). It’s easy to tell the passion that Pixel Crow has for these stories, as it could easily have been a stand-in for one of those period dramas. I don’t like to spoil things too much, but trust me, the story is outstanding in its likeness to its source material. Beat Cop will certainly put one’s ability to assess opportunity cost to the test. Doing one task will mean missing out on others. So do you finish meeting your quota with one last ticket or try and chase down someone robbing one of the stores on your beat. Which one will mean getting fired and which one will mean just a lower rating? There’re just so many options, and that’s part of the charm. Beat Cop doesn’t just shove you down one solid path, and the story can and will change depending on your actions. The ticketing portion of the day probably sounds like it would be boring. Honestly, it really isn’t that bad. Think Papers, Please when it comes to making paperwork an enjoyable gaming experience. Personally, I didn’t get that same enjoyment out of Papers, Please as most seem to have, but in Beat Cop the tickets are actually one of my favorite parts of the day. Because of the time management aspect, at times things can feel quite hectic, but if I have time to write tickets, that means things are a bit slow and I don’t have to rush. Okay, even when I’m in a rush I still like writing a ticket while running from one end of the patrol to the other to save someone. I always have time to ticket and tow someone blocking a fire hydrant. Time management is only one aspect, though. There’s also the action and point-and-click style aspects as well. The real action will present itself at various times throughout. I’ve mentioned robbers that need to be run down. In the PC version this was literally done by pointing and clicking on screen, however, this is one big change when it comes to consoles. Being able to use the controller makes a world of difference, and mostly for the better. Movement is much easier—no more clicking in the wrong spots or stopping without realizing. There is a little action lost by replacing other actions with buttons, as it does take some of the frantic paces away when you’re using buttons instead of a mouse. The other part of that action is trying to keep a balance between the Mafia and The Crew. Again, there are lots of options on how to play it. Want to do everything one of them asks, go ahead. Just remember there will be consequences. I initially tried my best to keep everything even, but this won’t work. You are bound to come to situations that are either going to put you at a negative to one faction, the other, or the police. I try and play everything in a disgustingly good way. If games were all like D&D I’d be rolling with lawful good every single time. But there are plenty of opportunities to play a dirty cop as well. Besides doing things for either faction, there are plenty of chances to take some bribes. Of course, it’s not that simple either as Internal Affairs will be sniffing around for dirty cops. Does this all sound a bit hectic? That’s because it certainly is. Apart from the morning briefings, which are filled with some pretty hilarious banter, the only other time of solitude is writing up tickets. Beat Cop can even make that feel hectic, too. There’s usually a lot to do during the day, so you often feel you need to rush around everywhere. I’ve often felt myself rushing around for no good reason. Just the idea that things are going to pop up that need to be taken care of and trying to get around to clearing your name, is enough to make you want to run everywhere. One good thing is that when talking to people on your beat, the clock stops. I know I have time to listen fully, but I still can’t get out of that rush mode and still end up missing the dialogue. The graphics are also the era-appropriate pixels. They are done really well and really help capture that era of not just in the subject matter, but of gaming in general…although this pixel style does look a lot better than what most had to offer in 1986. The sounds and music are also a positive addition. Not only are there period-appropriate songs, but depending on where Kelly is there may also be radio or TV spots playing in the background. Go to dinner and listen to a football game. It’s a real nice touch to add those things other than just music to the soundtrack and helps gives the street some real life to it. 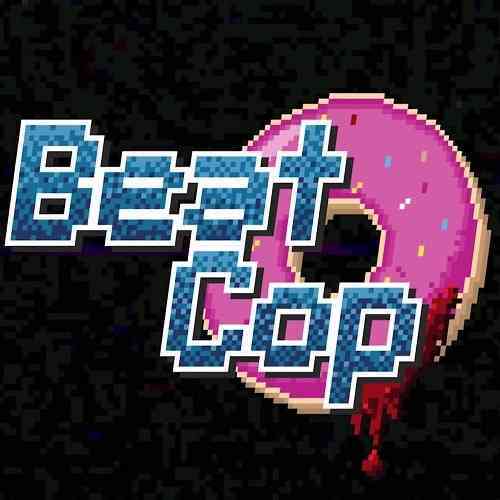 I didn’t really have any expectations on Beat Cop when I first played it on PC back in 2017. Even two years later now on the Nintendo Switch it manages a quite pleasant surprise playing it. The story is quite addicting and I’m always eager to see what is next or even replay to see what else could have happened. Beat Cop is a pretty decent length as well and should clock in for most somewhere between seven and ten hours. 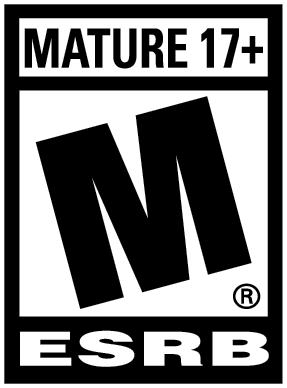 The non-linear story, along with the multiple endings, means there is a good amount of replayability as well. All in all, this is a great homage to 1980’s cop shows that shouldn’t be missed.